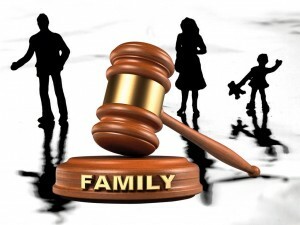 Negotiating child custody during a divorce is never simple. Your relationship with your children is one of the central features of your life, when tensions run high between you and your former spouse, working out where the children will live with can be difficult. Try to separate your personal feelings from the issues involved. During the divorce process, your opinion of your child’s other parent as a person may be quite low. Put this opinion to the side whenever you enter negotiations about custody. Remember that your child has a different relationship with their other parent than you do. Talk about your own feelings with your therapist or a trusted friend – not with the mediator and never in front of your children. Put your children first. Children who lose contact with a parent suffer an emotional wound that never really heals. For that reason, it’s important to do all you can to help your children maintain contact with their other parent – regardless of your personal feelings. Remember that your kids need you to help them through the divorce process, and approach custody negotiations accordingly. Create a custody plan that allows both parents to respond proactively. Communication will be essential as your child grows and tests the boundaries you and the other parent have put in place for them. Create a parenting plan that allows you both to anticipate your child’s needs and communicate, instead of just reacting after a problem has already arisen. Your lawyer can provide advice on how to do this in your specific situation. Child Custody Decisions: What’s in a Child’s Best Interest?